Find out how Wärtsilä uses Visual Components to support the complete lifecycle of new investment projects. Wärtsilä, a global leader in advanced technologies and complete lifecycle solutions for the marine and energy markets, was first introduced to Visual Components in 2008. Tero Kujamäki, Project Manager for Marine Solutions at Wärtsilä’s Delivery Centre Development (DCD), was working with the Seinäjoki University of Applied Science to create 3D simulations of an automated cylinder head assembly line with Visual Components software. As the strategic planning arm of Wärtsilä’s Delivery Centre Vaasa (DCV), the DCD is responsible for planning DCV production development activities over 5-10 year periods. They investigate new production technologies and plan major investments in new production centers. Tero and his team had previously evaluated other manufacturing simulation software solutions, but found them too complex and resource intensive. For an organization that’s constantly exploring new production solutions, they needed a solution that could keep up with their fast pace; a tool that could quickly create and simulate production concepts, but also be used for more in-depth analysis. The experience with Seinäjoki University left Tero and his team convinced that Visual Components fit their needs. The simulation videos and layouts they created of the assembly line were very impactful (the investment recommendation was approved), and Wärtsilä began using Visual Components shortly after. We were not just looking for a powerful tool to simulate robot activities, but something that could simulate the entire production chain. For this, Visual Components was the best tool. 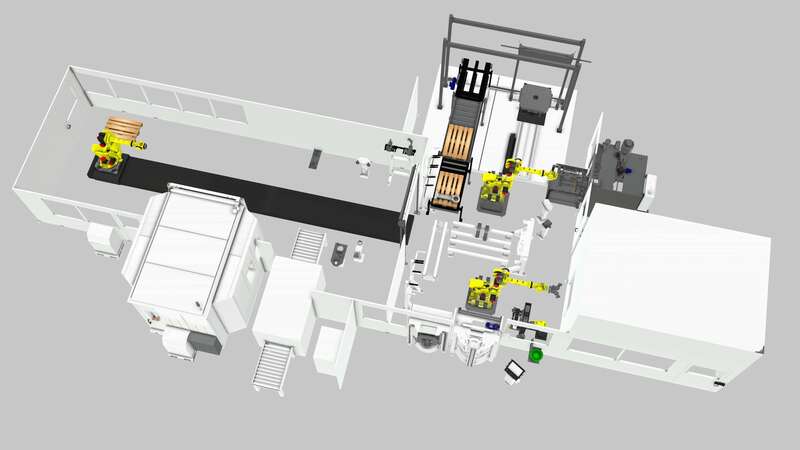 The DCD initially used Visual Components to design layouts and simulations of production lines – investment projects being considered by Wärtsilä. As Tero and his team explored the capabilities of Visual Components, they started using it for more applications, including robot cell simulation, design analysis, and creating training materials. Wärtsilä now uses Visual Components to support the complete lifecycle of new investment projects, from ideation and concept design to technical validation and implementation. The main benefits that Tero and his team have seen with Visual Components are improvements in production performance, communications, and implementation. As a project manager, about 90% of my job is communication. That’s why Visual Components is the perfect tool for us. We can easily and concretely show the effects of design changes to the overall process, and share that information with both technical and non-technical people. 10 years later, Tero and his team have seen positive results since first introducing Visual Components to Wärtsilä, specifically in the areas of production design and project implementation. The production solutions Wärtsilä builds are highly automated and use advanced equipment and robotics. While the machines on their factory floors are state-of-the-art, prior to using Visual Components, Tero and his team knew their production lines weren’t optimally designed. They were able to squeeze much more performance out of production solutions designed with Visual Components, leading to projects with much more financially attractive returns. Once a project is approved, there is intense pressure for it to be delivered and commissioned quickly. There are always implementation challenges with projects of this scope and complexity; but with Visual Components, the DCD saw an opportunity to accelerate the ramp-up period of new projects. Tero and his team used Visual Components to plan and coordinate implementation with project stakeholders, using layouts, 3D models, and simulations to communicate project timelines, milestones, and end-states. This resulted in shorter ramp-up periods, faster delivery times, and significant cost savings for Wärtsilä. Visual Components is now our standard when planning projects and processes. Wärtsilä continues to work on exciting projects that advance their marine and energy production capabilities. The next big thing: factory digitalization. Tero and his team are exploring how to digitize Wärtsilä’s production operations. The DCD sees significant opportunity in factory digitalization, specifically with the ability to create a digital twin of their factories, to simulate changes and upgrades to production lines before deploying them. Considering the scale and complexity of their factories, Tero expects this would save Wärtsilä significant time and expense in planning and implementation of future projects. As an early user of Visual Components Virtual Reality (VR), Wärtsilä also sees a lot of potential in VR for their planning projects. In addition to being able to experience new production concepts in full-scale, Tero and his team are excited about how it will enable a much richer training experience, and how it can improve stakeholder engagement and collaboration on future projects. We’re excited about how VR will allow us to better support the end-users of our production solutions before they’re commissioned. Wärtsilä is a global leader in advanced technologies and complete lifecycle solutions for the marine and energy markets. By emphasizing sustainable innovation and total efficiency, Wärtsilä maximizes the environmental and economic performance of the vessels and power plants of its customers. In 2016, Wärtsilä’s net sales totaled EUR 4.8 billion with approximately 18,000 employees. The company has operations in over 200 locations in more than 70 countries around the world. Find out how to easily validate PLCs with Visual Components! In this article, we’ll discuss some of the challenges that manufacturers are facing today, and how technology can help address them. 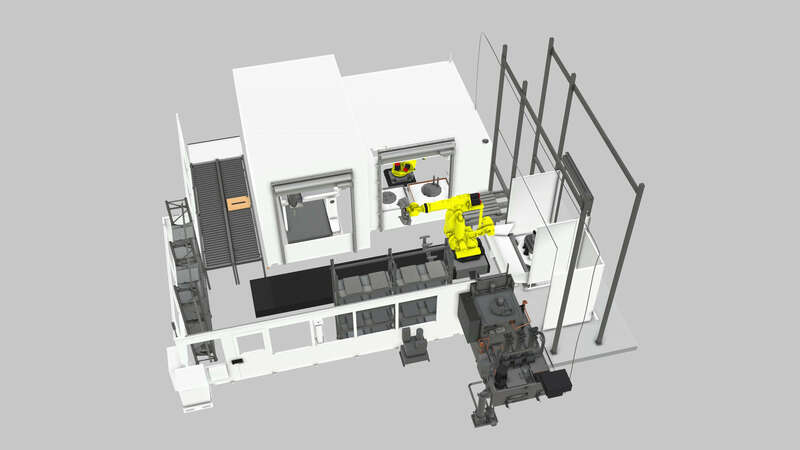 See how IAS is using Visual Components’ 3D manufacturing simulation software in the sales, concepting and initial engineering phases of new projects.